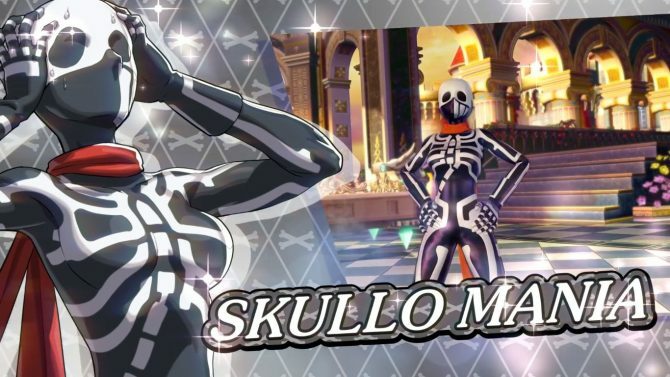 SNK Heroines Tag Team Frenzy features some really crazy designs, and Character Designer Eisuke Ogura talks about the whole process in a new video. 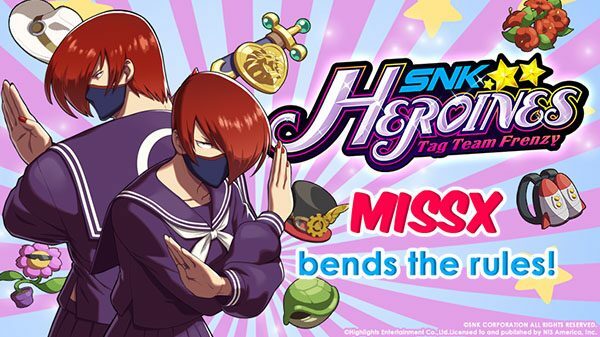 Today NIS America released the recording of a SNK Heroines Tag Team Frenzy panel hosted at Anime Expo in Los Angeles. The panel starred veteran SNK Artist and Character Designer Eisuke Ogura, who has been working on the studio’s fighting games since 1996. Ogura-san showcases a lot of the art used to create the game’s characters and their quirky costumes, also explaining how certain ideas came to be. Interestingly, we also get to see a few designs that were rejected. At the end of the panel, he also mentions that while the multiplayer is fun, the solo gameplay is also really unique and fun as well, and he hopes that fans will enjoy it. This is actually pretty rare (and refreshing) to hear from a fighting game developer. You can check out the video below. If you want to see more, you can also enjoy the reveals of gender-bending Terry Bogard, Mui Mui the Dragon Gal, Love Heart, and Luong and Mian. SNK Heroines Tag Team Frenzy will release on the western shelves on September 7th, for PS4 and Nintendo Switch. If you’re interested in the game and haven’t reserved your copy yet, you can pre-order the Switch version on Amazon (the PS4 version will be digital-only, so you will have to get it on the PlayStation Store). 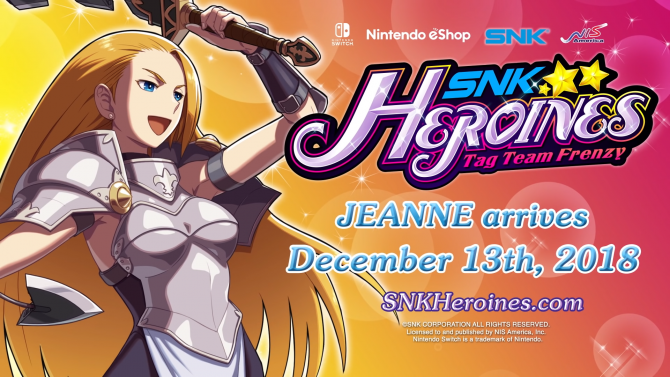 Jeanne D'Arc is the latest DLC character for SNK Heroines: Tag Team Frenzy -- staying true to her original design with some updated moves and costumes.